Whether you sail for fun or on a professional basis, it is of the utmost importance to have a reliable power supply for all the electrical equipment to properly function, even in the middle of the sea. MyEnergy offers a broad range of products that are extremely suitable for your on board power system. 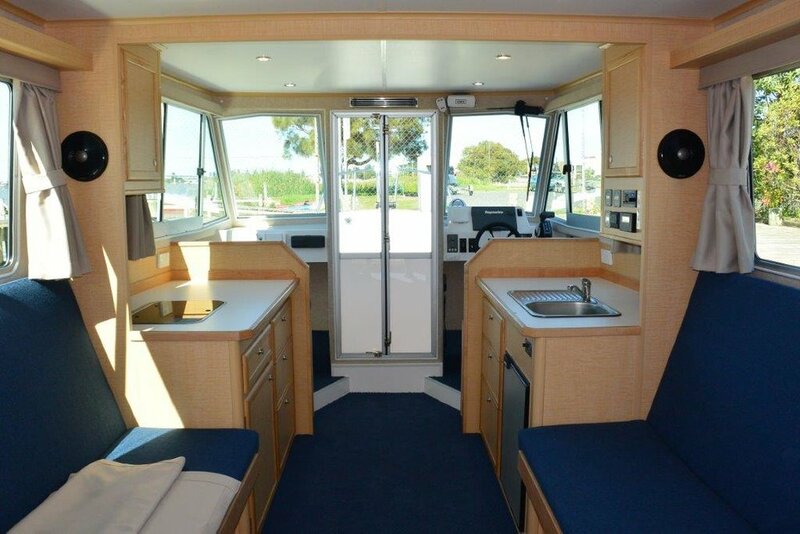 Recently MyEnergy worked with Cheetah Concepts with the implementation and configuration of Victron Energy equipment used to charge/run the systems cabin, starter batteries and thruster batteries on the build of their latest vessel the Inland Cruiser. The energy system integrates the use of multiple charging sources from shore power, generator, solar and alternator. The principle characteristics of Inlander Cruiser is a solid keel semi-displacement inshore cabin-cruiser boasting an almost seamless entry from bow to stern. The 9.2meter is ideal for semi-protected waterways such as estuaries, rivers and lakes. With a beam of 3.0meters, the spacious interior lay-out provides sleeping for 5 and for user convenience, has separate shower and toilet cubicles. The ‘bow-rider’ cockpit has forward seating for 2 and in the aft cockpit there’s seating for 3. In its’ basic form, the Inlander is intended for weekend cruising, but can be optioned up for extended cruising with many additional features.